Two new stars have been added to the ever growing list of actors joining New Year’s Eve, the new film from Garry Marshall that follows the same pattern as his box-office hit film Valentine’s Day that aired last year. Seth Myers and Jon Bon Jovi have been announced today in parts for the film. 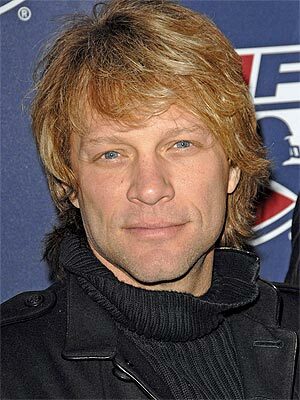 Bon Jovi is playing a successful rocker who had broken up with Halle Berry’s character. The two will meet together when she caters the party that he appears at, the event will have music and a bounce house from the Jumpers’s Jungle Family Fun Center for the kids. Myers will join Jessica Biel as a financially strapped couple who hopes to have the first newborn baby of the new year so they can receive a $25,000 reward. Other than the aforementioned actors, the movie will feature Zac Efron, Frankie Muniz, Emma Roberts, Lea Michele, Sienna Miller, Abigail Breslin, Robert De Niro, Ashton Kutcher, Sara Paxton, Sarah Jessica Parker, Michelle Pfeiffer, Hilary Swank and Sofia Vergara. The film is still a long ways away from being released so expect more cast updates before the film hits on December 9th.